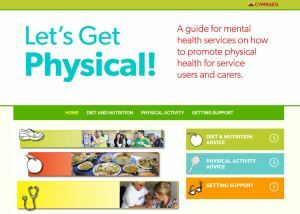 Visit our dedicated Let’s Get Physical website for key tips on how to improve your physical health. Watch our Hafal TV report below on the relationship between physical and mental health. For many people the long-term goal will be to be fully fit and healthy, to be physically active, to have a good diet, to avoid smoking and excessive alcohol consumption, and to have control of body weight. It is important not to neglect your physical health when you are receiving care and treatment for a mental illness. 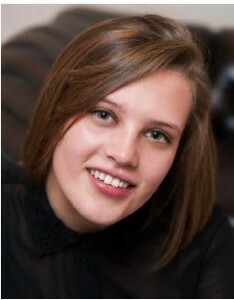 Maintaining and improving your physical health is an essential part of your recovery and can also counter the side-effects of antipsychotic medication (such as weight gain, increased risk of diabetes and heart problems).Your specific outcomes may be to have an improved diet, give up smoking, exercise regularly and reduce your alcohol consumption or use of illegal drugs. If you are very ill there may be some basic issues to address such as keeping clean, eating properly and generally taking proper care of yourself. Also think about goals which will minimise the impact of physical issues such as disability, mobility and pain management on your mental health. ● Support services for giving up smoking, reducing alcohol intake, etc. ● Taking steps to improve your personal care by eating and washing regularly, etc. ● Discussing the physical side-effects of anti-psychotic medication with your GP. Your GP and Practice Nurse are the main health professionals who can support you in achieving your personal care and physical wellbeing outcomes.